How not to be an obstacle to self?! Gokul Gokani was born in Salaya, which lies on the west coast of India. He grew up in a large family with five siblings. As the youngest boy, Gokul spent as much of his time as possible outdoors, enjoying nature – climbing trees and playing. He was first introduced to yoga at six or seven years of age, and began waking at 5am every morning to practice yoga – a habit he has maintained to this day. After the deaths of two of his sisters from smallpox and of a brother from typhoid fever in the 1940's, Gokul decided to pursue a medical career. He was a medical student when he met Kumud, who soon became the love of his life. They were married 2 ½ years later, and the following year announced the arrival of their first daughter. A years later, Gokul traveled to England to pursue higher studies – he wanted to become a general surgeon but ended up to be an ear, nose and throat specialist. After settling in in England, he sent for his wife, 2 year old daughter, and the infant daughter born right after his departure. Gokul spent the next five years serving his residency in hospitals throughout England – Manchester, London, Bath, etc. In 1969, and during this time Kumud gave a gift of a son and then the family returned to India and Gokul established a small but very well equipped hospital. Although it only had 8 beds, it afforded full radiology and pathology services, had an open surgery theater, and consulting rooms. Gokul ran this hospital for 7 ½ years. During this time, Kumud gave birth to their fourth child. In 1972, Gokul attended a public lecture accidently in Bombay presented by the mystic Osho, and Gokul straightaway recognized Osho as his guru. The following year, he went on a 10-day meditation retreat with Osho on Mt. Abu. 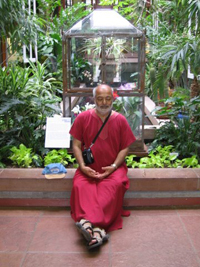 It was here on Oct. 6, 1973 that Osho initiated Gokul as a sannyasin and gave him the name Swami Anand Krishna. After making certain his hospital would be left in capable hands, Gokul (now known as Krishna) traveled to Africa where he opened a practice and became visiting consultant for three hospitals. When he was established there, he sent for his family to join him. In 1983, Krishna and his son made their first trip to the U.S. They went to Oregon to a large Gurupunam celebration at Osho's American ashram, Rajneeshpuram, and remained there for a few weeks before returning to Africa. Krishna continued his medical practice in Africa until the end of 1988, then he and his family returned to India early in 1989. Instead of returning to his hometown though, he went to Pune (Poona) to live near his guru and to start anew. 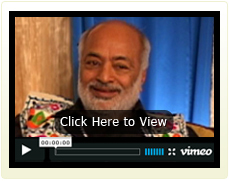 Krishna went into private consulting practice in Pune, and also began working in the medical center at Osho's ashram. Although Osho had scores of physicians available to him, when he knew he was to depart his body, he summoned Krishna and gave him the great honor of being the attending physician. Krishna and Kumud remained in India until 1998, when they returned to Oregon and moved to Ashland, where they currently reside. It is here that he founded the Aum Awakening Center as a vehicle through which he could present his meditation classes, hold workshops, do counseling, etc.